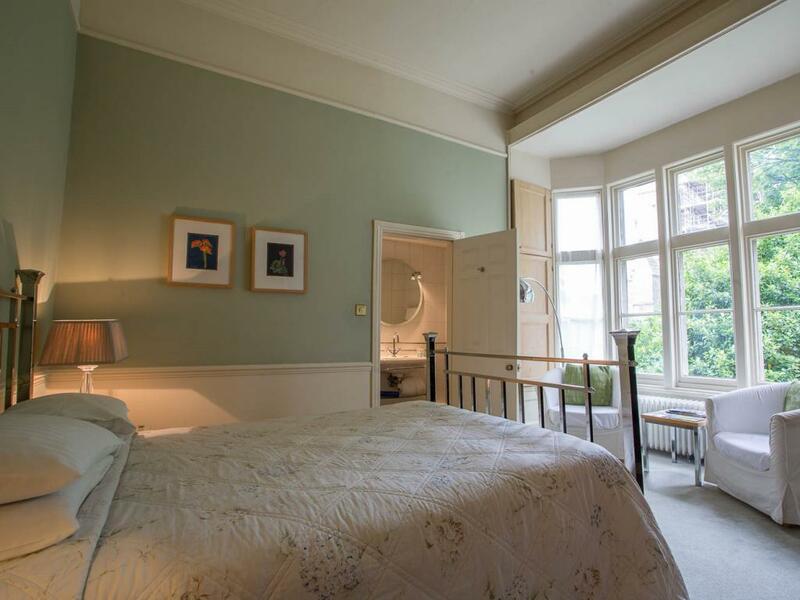 The first floor double ensuite rooms are full of character and charm; high ceilings, original shutters at the windows and a large comfortable bed. They have either a walk in shower or bath with shower over, local toiletries and bathrobes. Each room has a lovely view over the Cathedral or the gardens. 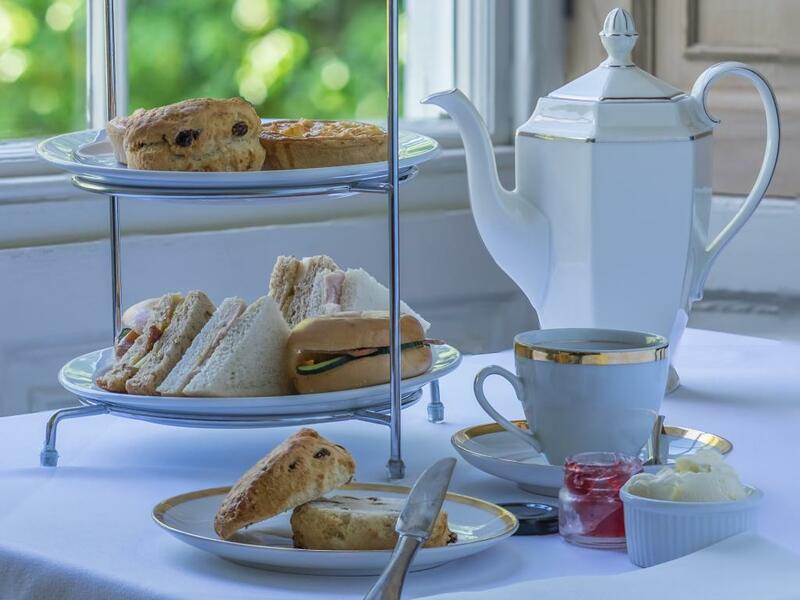 They have flat screen TV, a selection of hot beverages with biscuits and we offer you a complimentary bottle of mineral water on arrival. The four poster rooms are the largest rooms on the first floor; both with high ceilings and a sofa area. 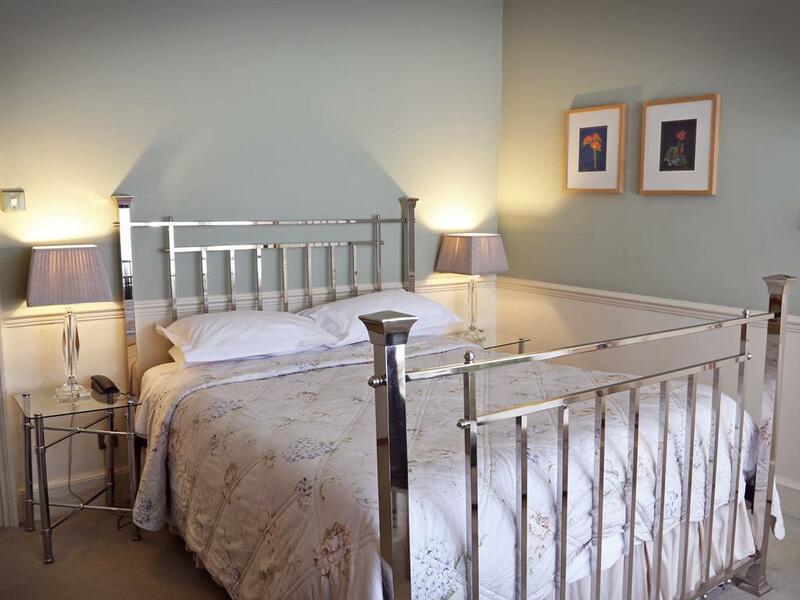 Room 5 is a quirky room with a very large metal scroll work bed and has a magnificent view of the Cathedral from the large bay windows. 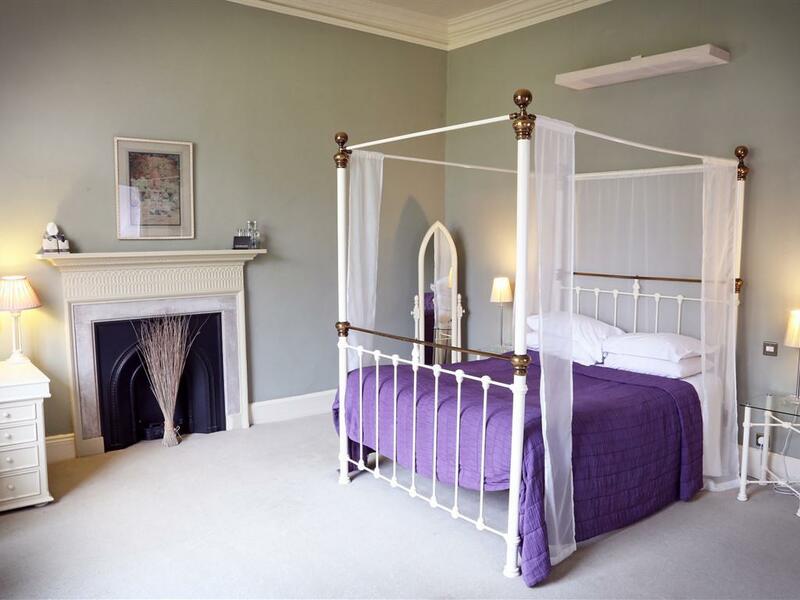 Room 2 is right at the top of the oak staircase with a modern four poster bed and a large window overlooking the gardens. 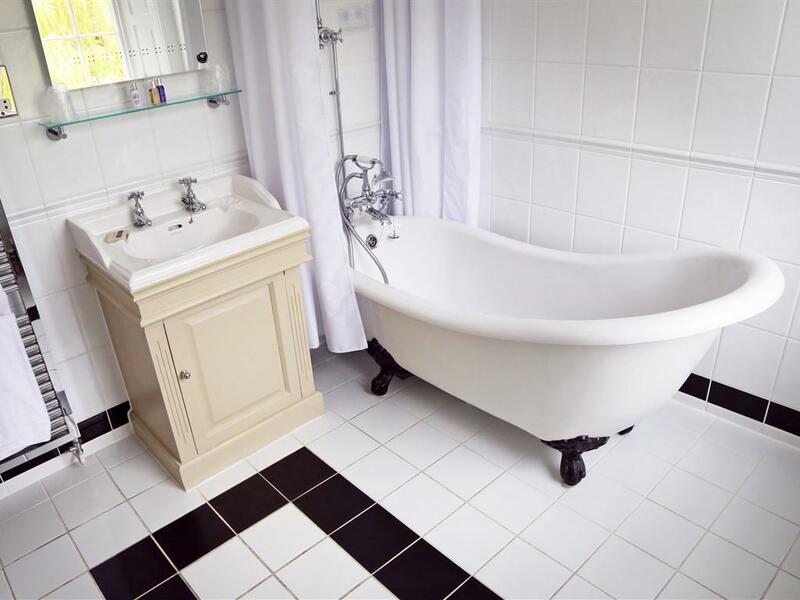 The en suite has a Victorian roll top bath with shower over. 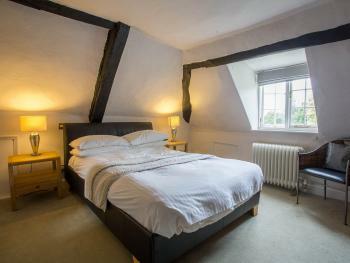 Both rooms have a large smart TV and hot beverage making facilities. Local toiletries and bathrobes in each room. Definitely the most magnificent rooms in the hotel! Room 4 overlooks the gardens with two large windows and a super-king size bed or a twin option, so please indicate preference when booking. 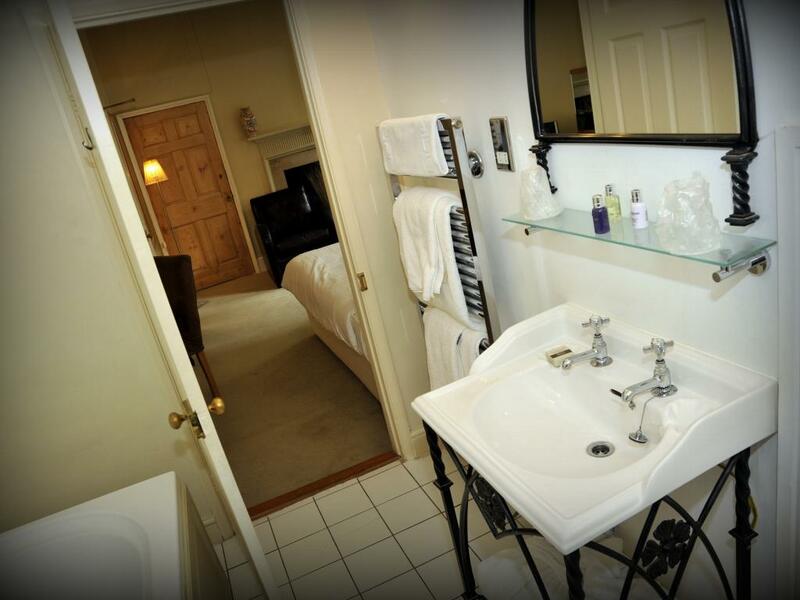 En suite bathroom with large bath and shower over, local toiletries and bathrobes. 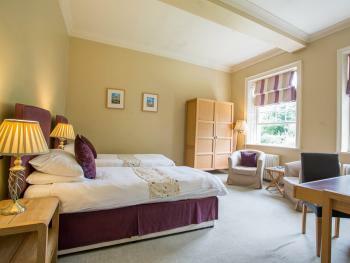 This room also has a flat screen TV, a selection of hot beverages with biscuits and a complimentary bottle of mineral water on arrival. 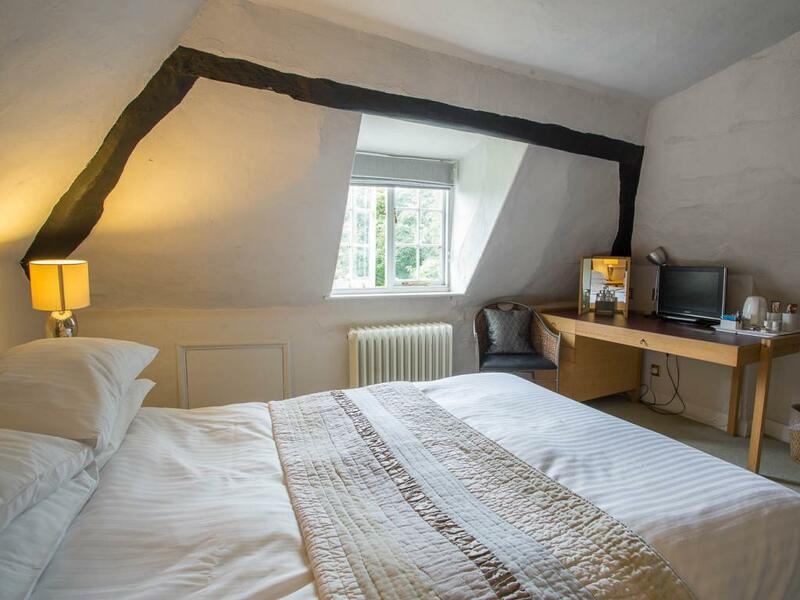 All standard double rooms are full of character with modern decor, flat screen TV, a selection of hot beverages with biscuits and we offer you a complimentary bottle of mineral water on arrival. 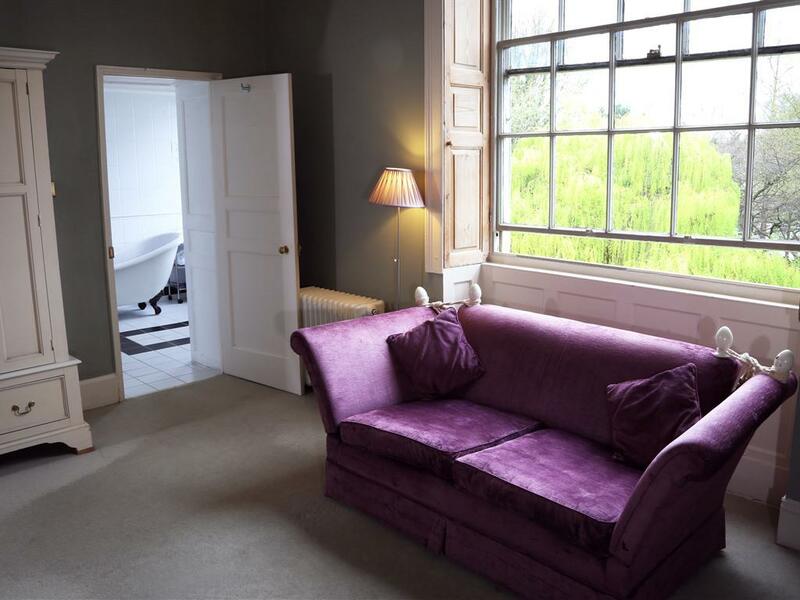 They are found on the second floor with beamed sloping ceilings, a window overlooking either the Cathedral or gardens and an en suite shower room with local toiletries. Room 9 is a superior double room along the apex of the roof on the second floor with a super-king size bed, sloping ceilings and a small window overlooking the Cathedral. 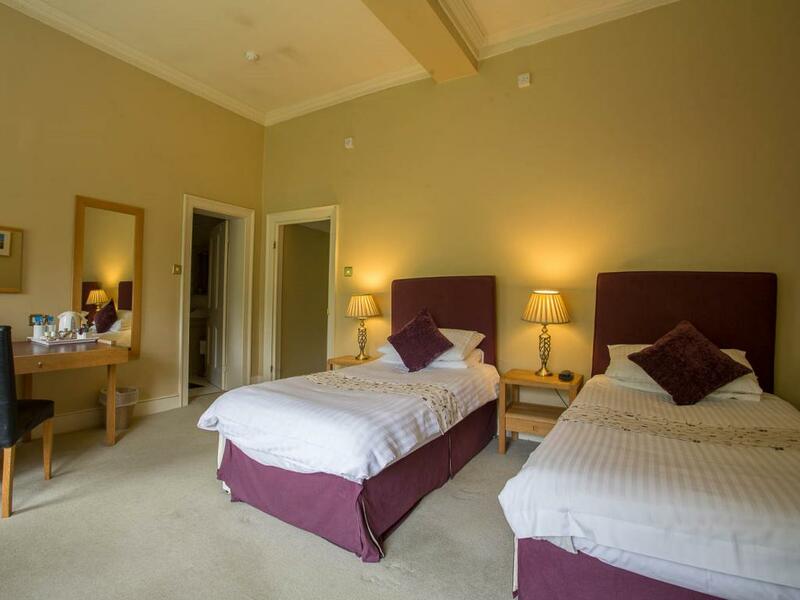 This room is also available as a family room, sleeping up to 5 guests. 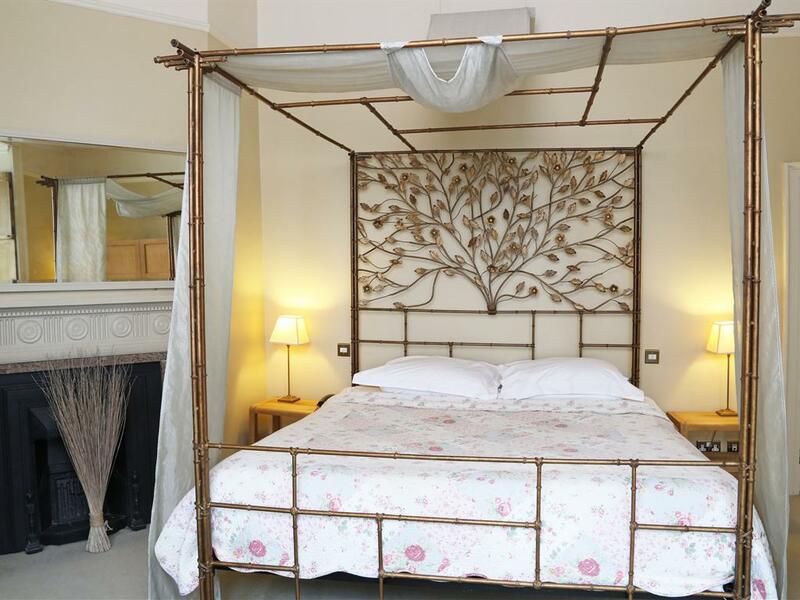 For 3 or 4 guests, a double sofa bed will be made and for a fifth guest, there is also room for a camp bed (please contact us directly to discuss other room arrangements). There is a large shower room with toiletries and bathrobes. 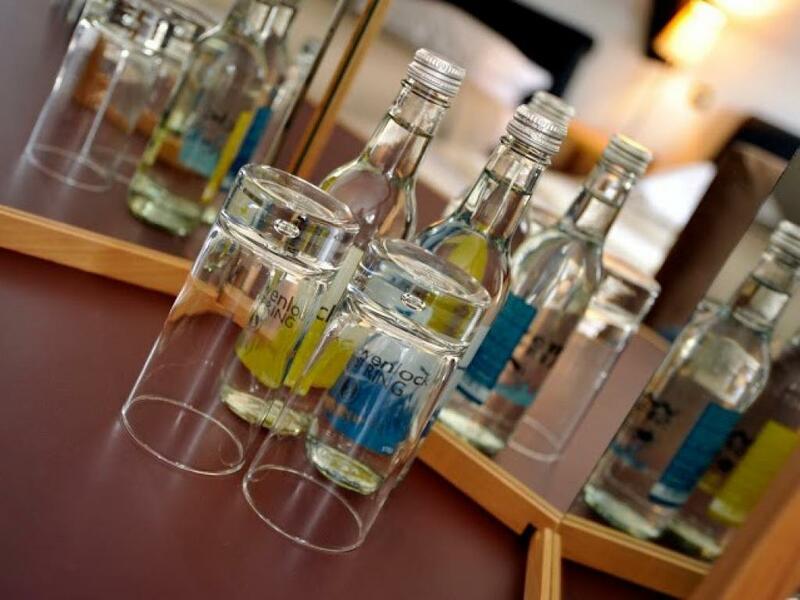 This room has a flat screen TV, a selection of hot beverages with biscuits and we offer you a complimentary bottle of mineral water on arrival. 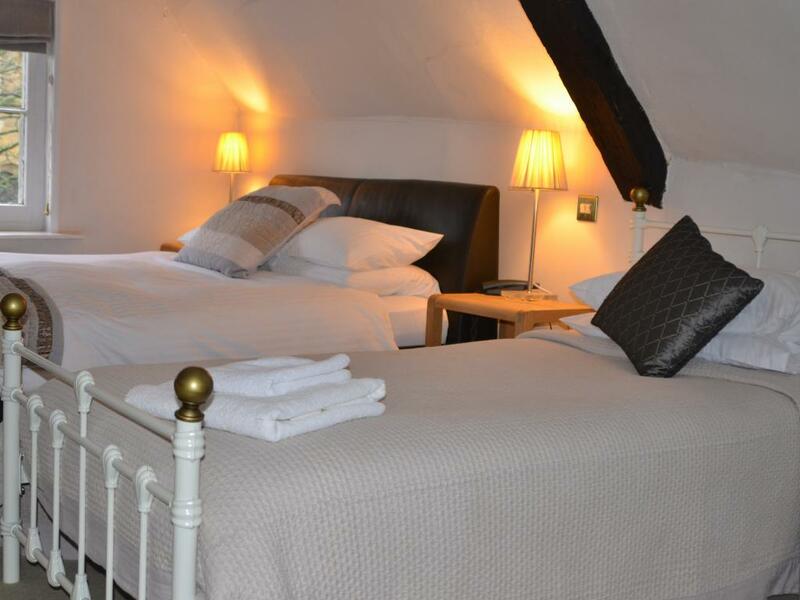 Room 11 is a superior room on the second floor with a king-size bed and a fixed single bed - so can sleep 2 guests as a twin or 3 guests as a triple. 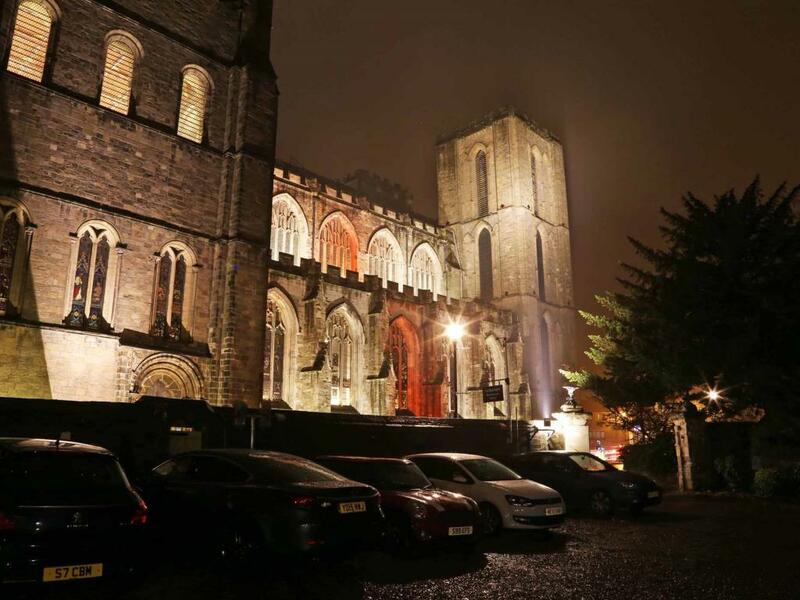 It has beamed sloping ceilings, a window overlooking the Cathedral and en suite shower room with local toiletries and bathrobes.This room also has a flat screen TV, a selection of hot beverages with biscuits and we offer you a complimentary bottle of mineral water on arrival. 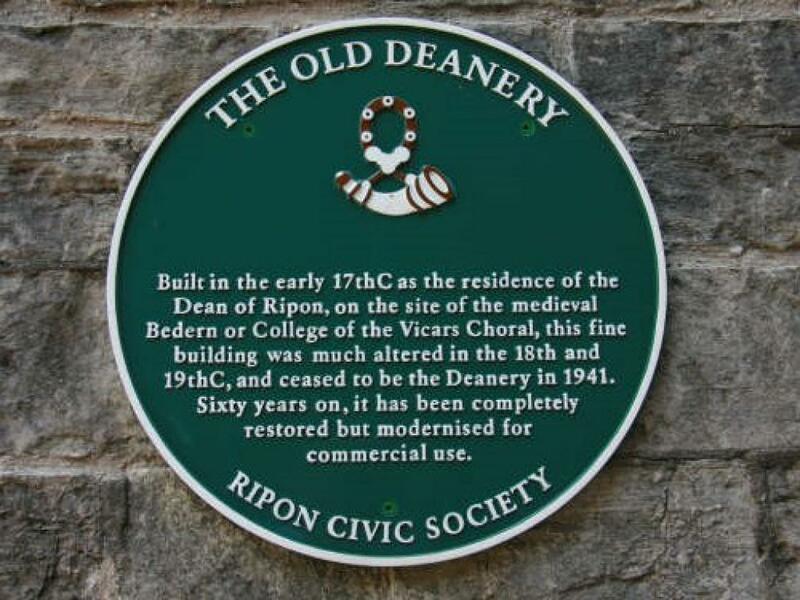 The Old Deanery Hotel & Restaurant is a lovely historic building situated in private grounds, in the shadow of the magnificent Cathedral in Ripon. Just a few minutes stroll from the hotel doors and you'll find yourself in the Market Square and the centre of this stunning cathedral city. 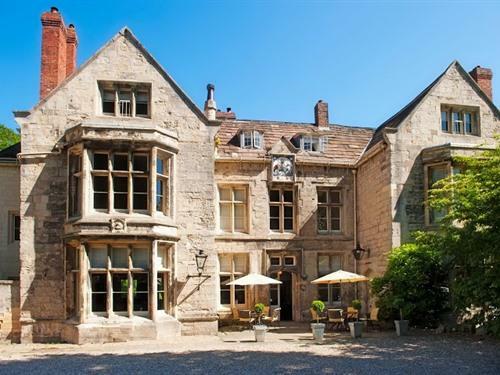 The Old Deanery dates from 1625 but there have been many alterations over the years and this Grade II red star listed building was refurbished as a hotel in 2003. It has a unique atmosphere where the old and the new blend in a relaxed and welcoming way. 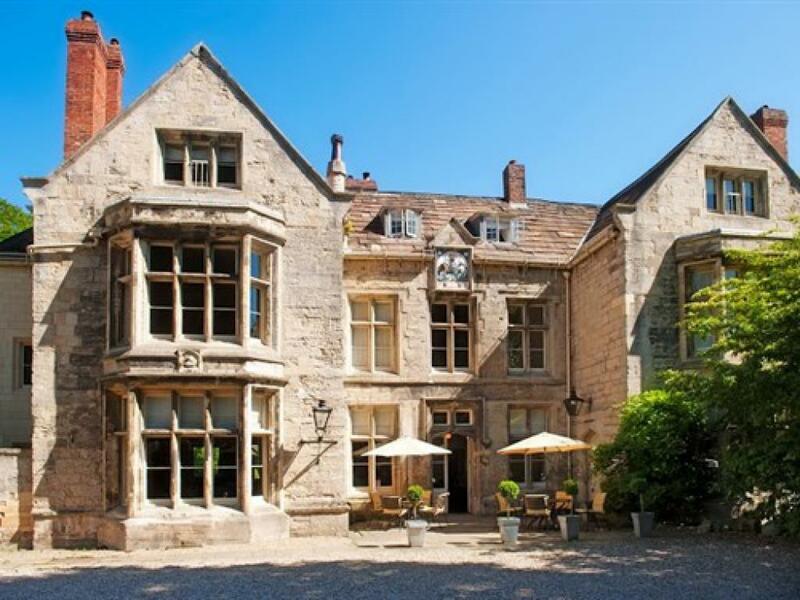 There is a walled courtyard parking area at the front and a large garden to explore at the back, where guests can enjoy drinks and meals in the warmer months. 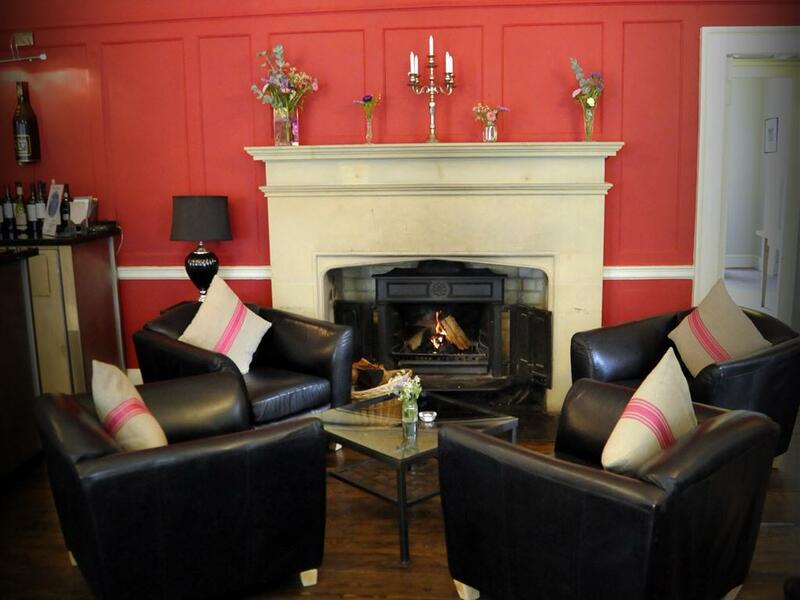 There are 3 dining rooms and a comfortable and stylish bar lounge on the ground floor, with a log fire in winter. The exceptional food served celebrates the best of Yorkshire produce and the relaxed dining atmosphere creates the perfect place to celebrate a birthday, anniversary, wedding, or simply to enjoy a night away. We welcome children and dogs so celebrating can be as inclusive as you wish! 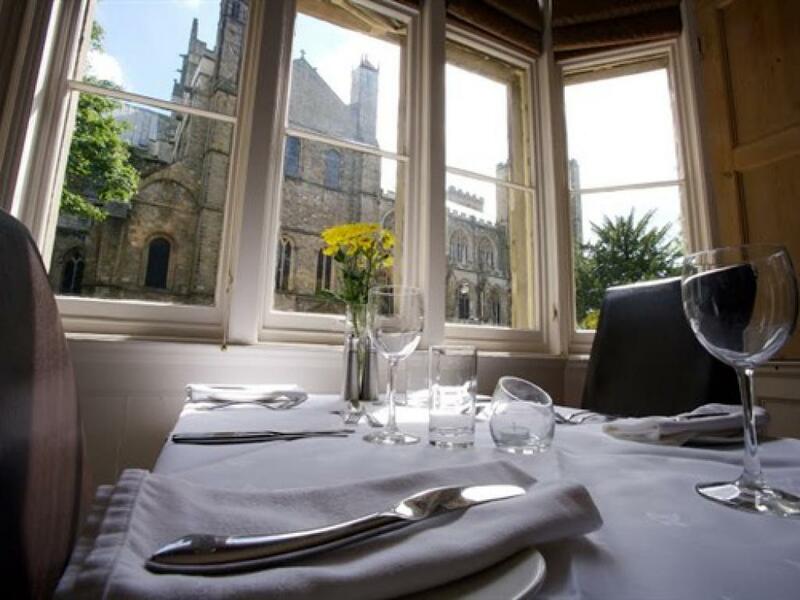 All of the restaurant rooms may be hired complimentary for private dining; the Cathedral Dining Room overlooks the Cathedral and leads into the smaller Dean's Dining Room which has a garden view. 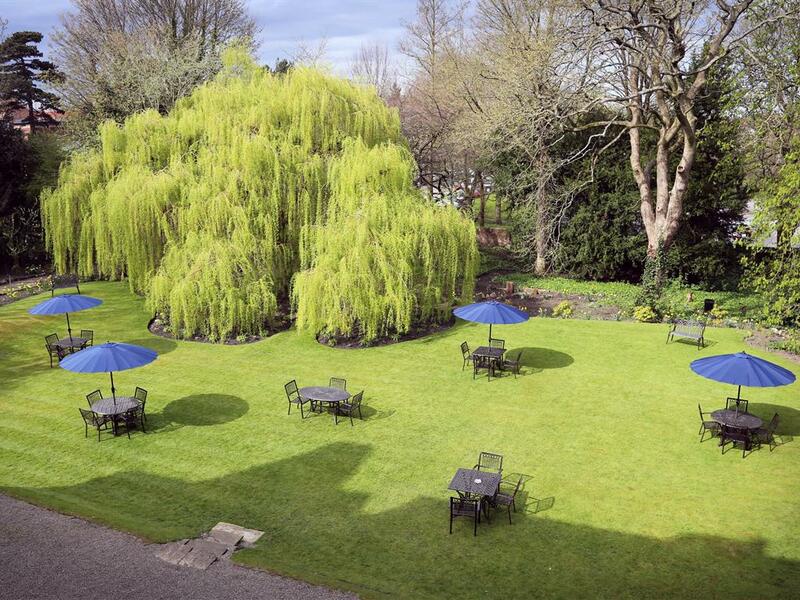 The Garden Room is also a delightful dining space with private access to the garden terrace. On the first floor, reached by the superb 17th Century oak staircase, there are 6 individually designed en-suite bedrooms with high ceilings, shutters at the windows and either a Cathedral or garden view. 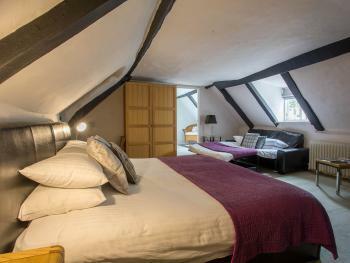 On the second floor, there are 5 more unique en-suite bedrooms with sloping, beamed ceilings and views over the garden or Cathedral. 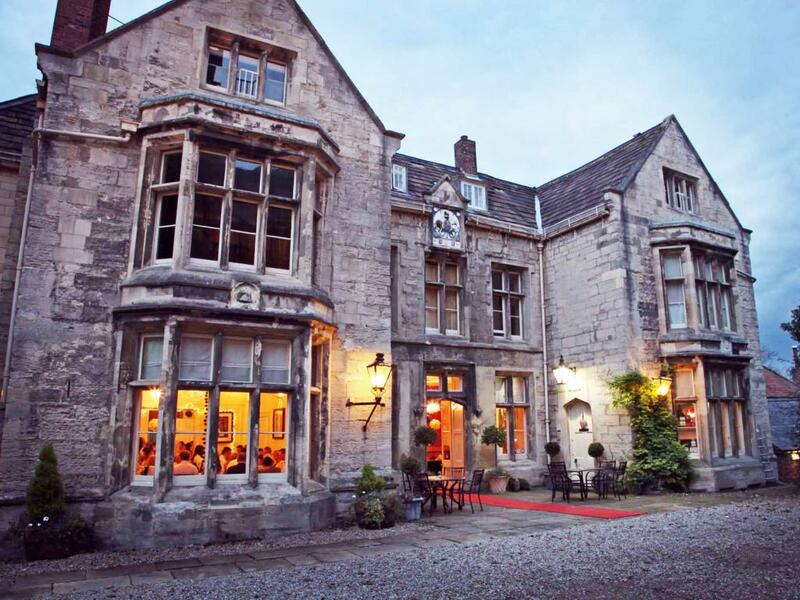 Experience the best of Yorkshire hospitality at The Old Deanery Hotel & Restaurant, Ripon. 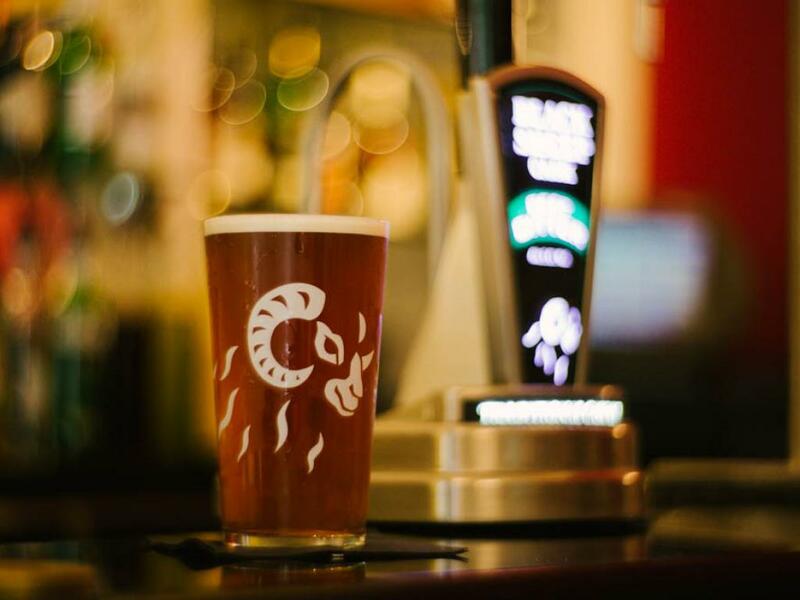 The bar and dining rooms are easily accessible, accompanied by a disabled cloakroom on the the ground floor. 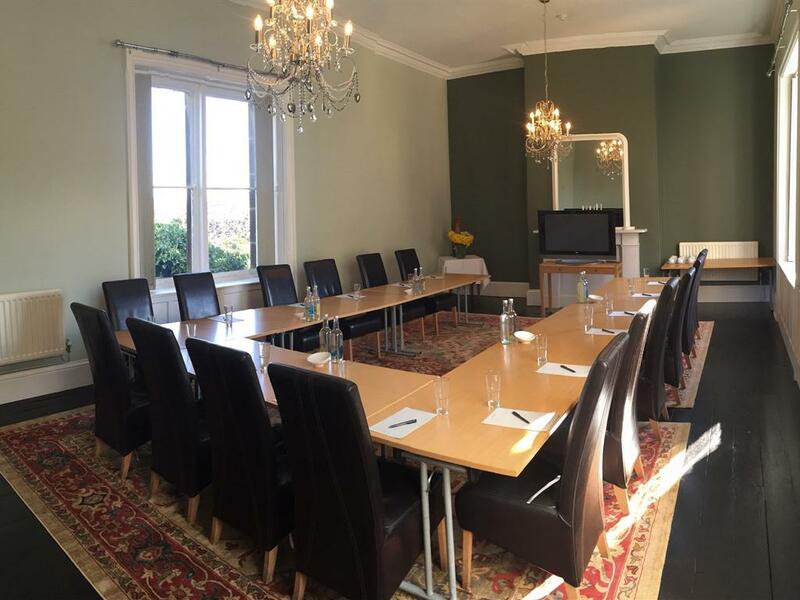 Our conference room is located up 3 small steps, with a wheelchair ramp available if required. Unfortunately, we have no ground floor bedrooms nor do we have a lift. 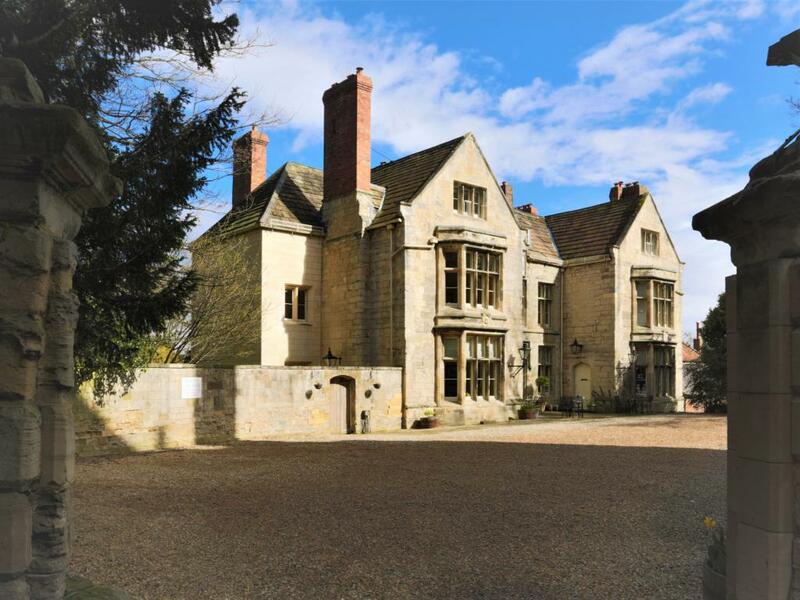 Access to the first floor is by a large 17th century oak staircase with banister rail, which has 3 groups of 8 treads separated by half landings. 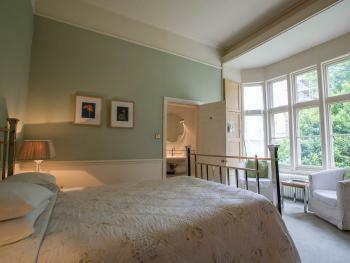 On the first floor we have 6 bedrooms, 2 of which having a walk-in shower. 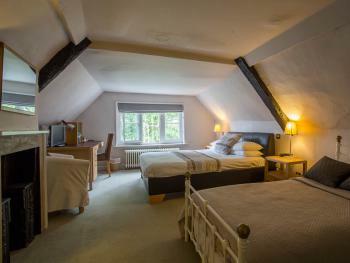 A further 5 bedrooms can be found on our second floor. From Harrogate, follow the A61 towards the centre of Ripon, and at the first roundabout go straight on following Harrogate Road. Follow the road along and turn right at the crossroads following the signs for the Cathedral. When you come to the roundabout, turn left (first exit) onto Minster Road and pass the Cathedral. We are on the left hand side opposite the Cathedral. From the A1 or from the north, take the A61 exit. Go straight on at the first roundabout you come to (signposted for A61). Turn right at the next roundabout onto Rotary Way. Turn left at Stonebridgegate and follow St Mary’s Gate, which curves to the right into Minster road and we are the second open gateway on the right hand side behind the tall walls.